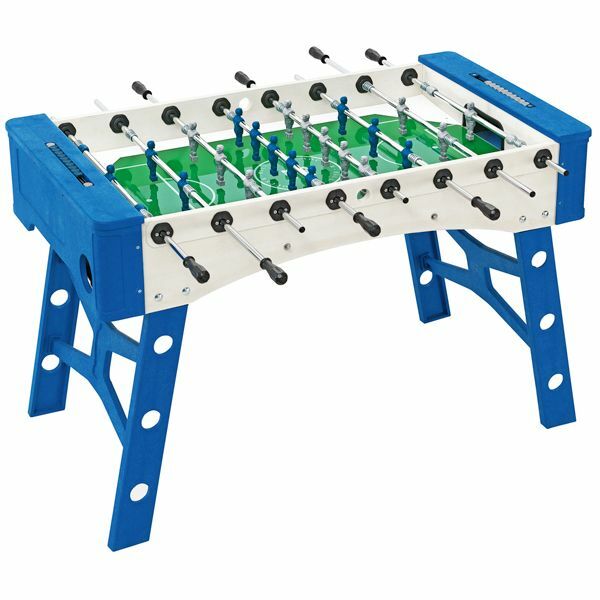 The FAS Sky outdoor football table is a full-size professional all-weather table that is also suitable for indoor use. The table has been made from high-tec plastic reinforced with fibreglass and joined together by stainless steel screws and bolts, resulting in a very strong product. The legs can be detached easily to help with practicality and storage, and the surface is made from toughened glass for quick play. The players stand in 1-2-5-3 formation on heavy-duty, fast-action poles. for submitting product information about FAS Sky Outdoor Football Table We aim to answer all questions within 2-3 days. for submitting product information about FAS Sky Outdoor Football Table. We aim to answer all questions within 2-3 days. If you provided your name and email address, we will email you as soon as the answer is published. for submitting product review about FAS Sky Outdoor Football Table.